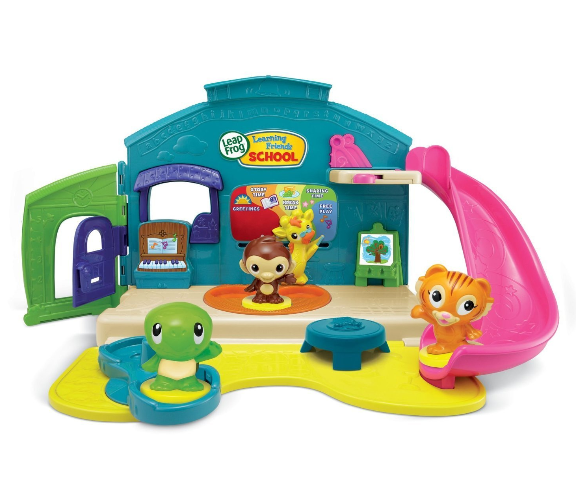 LeapFrog Learning Friends Play and Discover School Set ONLY $8.99 + FREE Prime Shipping (Reg. $30)! You are here: Home / Great Deals / Amazon Deals / LeapFrog Learning Friends Play and Discover School Set ONLY $8.99 + FREE Prime Shipping (Reg. $30)! I am buying this for my little one right now at this LOW price!! Grab this LeapFrog Learning Friends Play and Discover School Set for ONLY $8.99 (Reg. $30) for your little one, too! Plus, FREE Shipping is available with Amazon Prime or FREE with orders of $35 or more (sign up for a FREE 1 month trial here)!